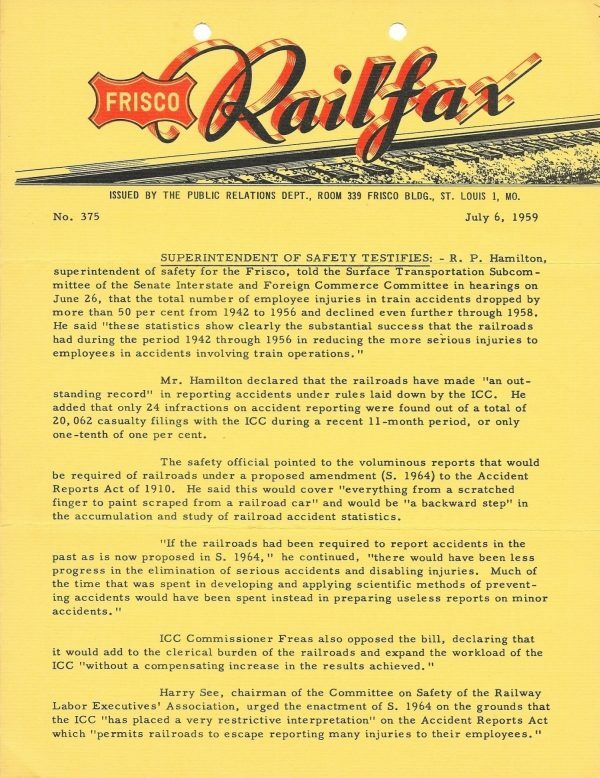 Railfax 375 – July 6, 1959 (PDF). 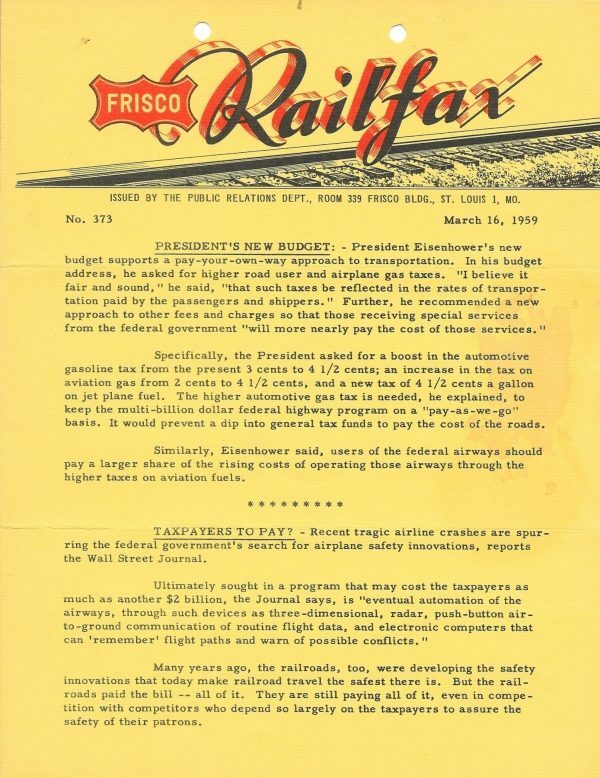 Railfax 373 – March 16, 1959 (PDF). 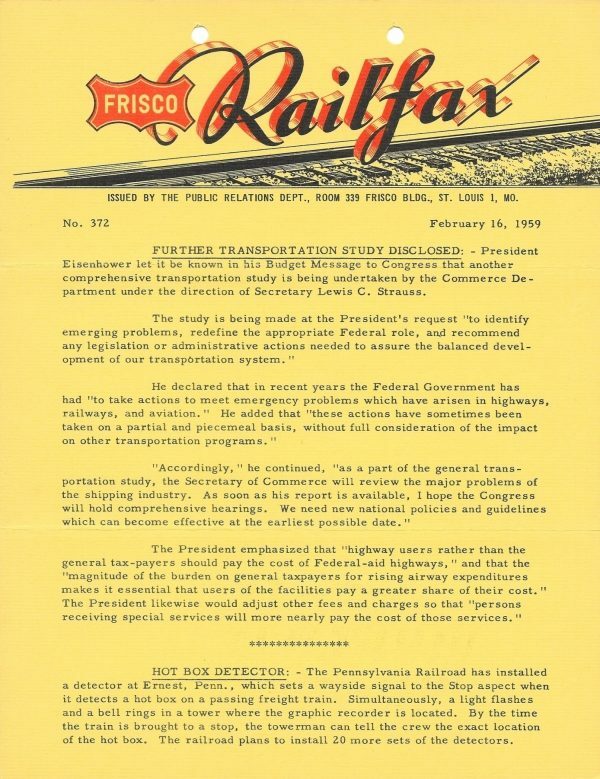 Railfax 372 – February 16, 1959 (PDF). 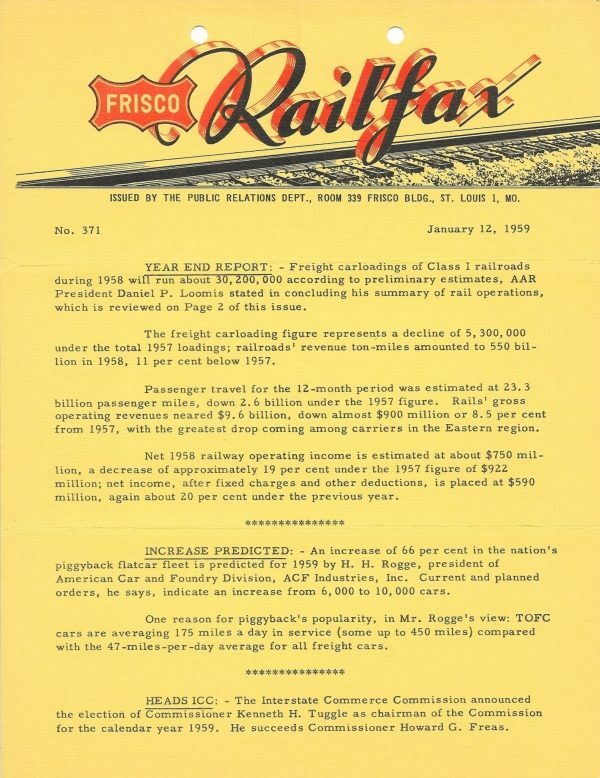 Railfax 371 – January 12, 1959 (PDF). 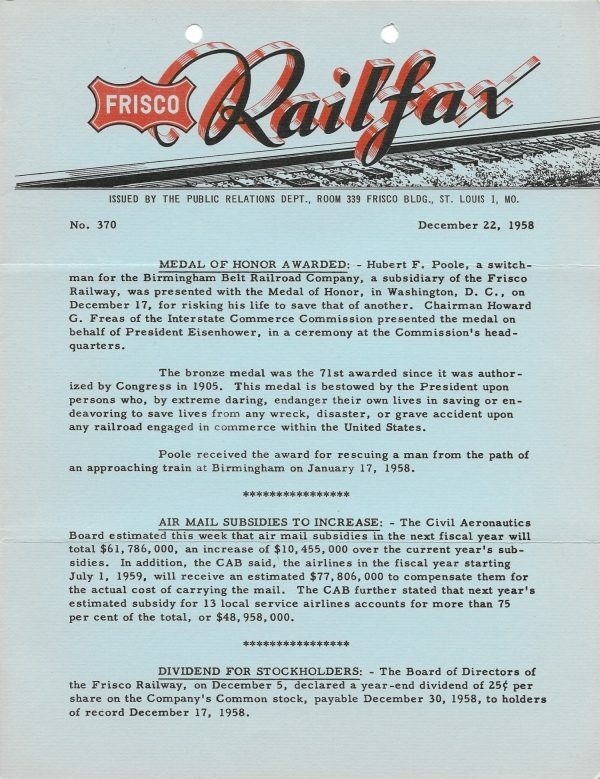 Railfax 370 – December 22, 1958 (PDF). 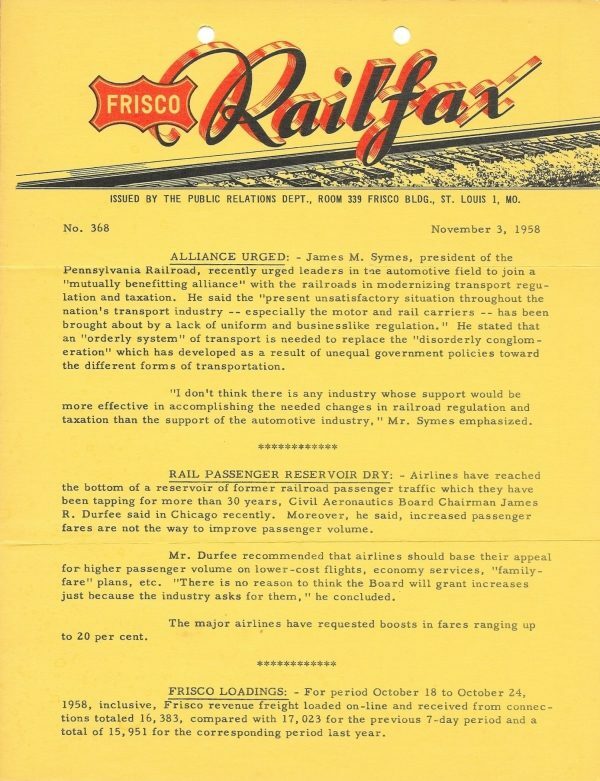 Railfax 368 – November 3, 1958 (PDF). 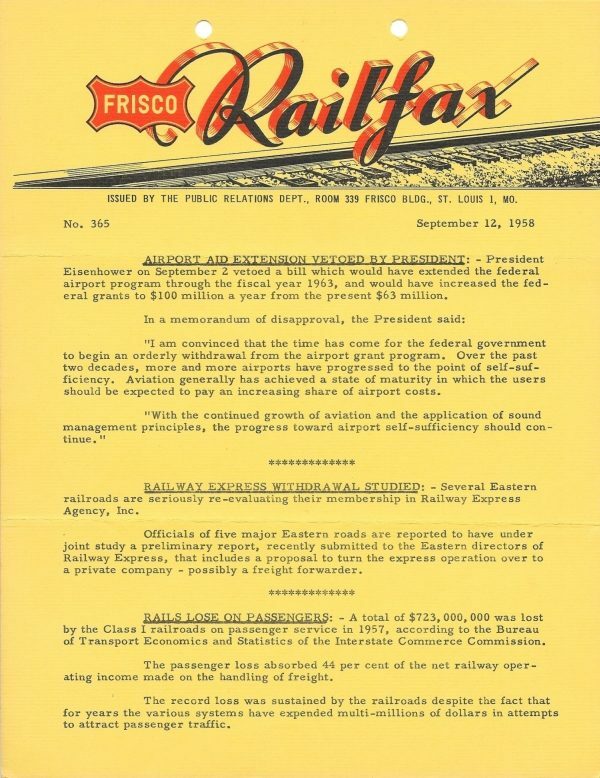 Railfax 365 – September 12, 1958 (PDF). 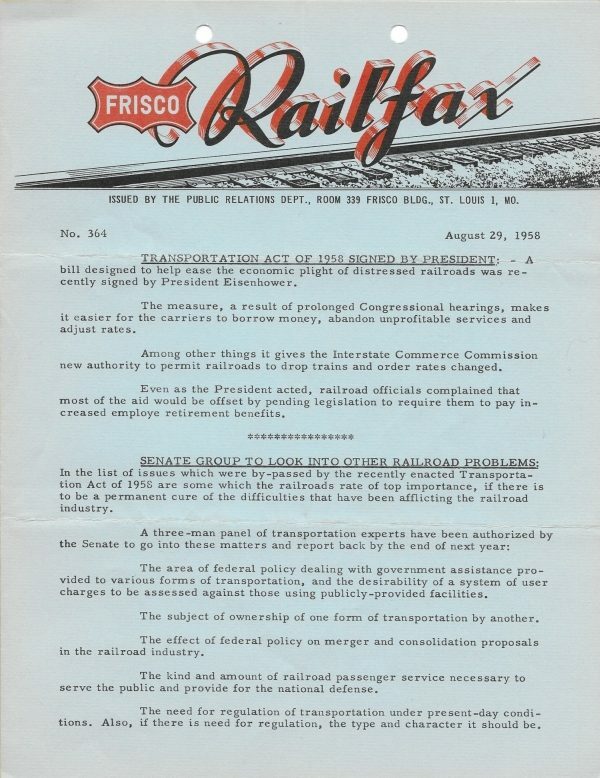 Railfax 364 – August 29, 1958 (PDF). Railfax 363 – August 8, 1958 (PDF). 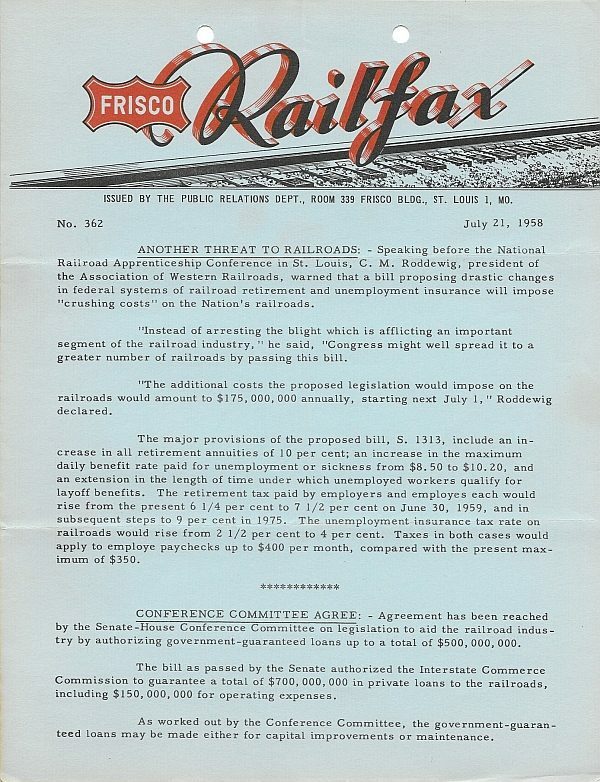 Railfax 362 – July 21, 1958 (PDF).